Streamline your bookings for all sports. Bookizmo takes and makes tee time bookings for all your sports with ease. 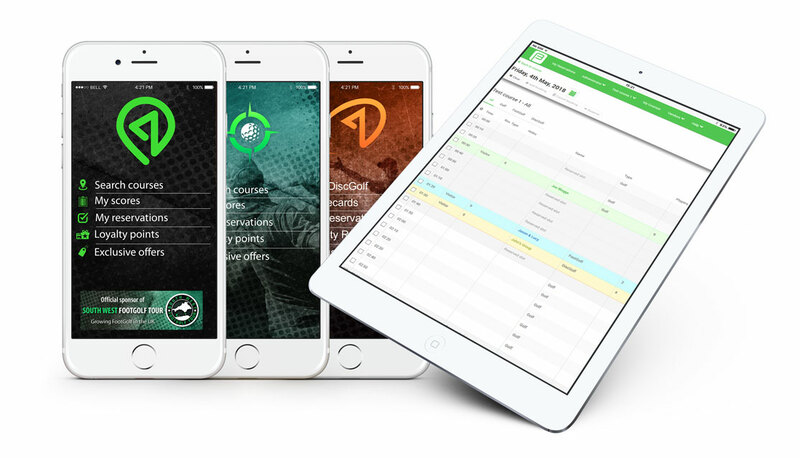 Whether your adding manual bookings on your calender or customers are making live bookings on the apps you can be confident that your tee sheet will always be organised and up to date. Using our platform removes the worry of receiving any double bookings. We understand that the Golf Industry is evolving and courses are offering more services to encourage recreational footfall. Bookizmo caters for Golf, FootGolf and DiscGolf bookings, making it quick for our courses to make bookings and easy for customers to make them either on your site or the dedicated apps. All tee time bookings are streamed back to your tee sheet automatically, saving time and keeping you up to date. Set your opening times and pricing for each of your sports. Bookizmo makes it easy for you to run multiple sports on one course, all with different “opening times” and prices. The system is live which means any changes you make are instantly streamed to your bookings buttons and the app’s. We understand that a Golf course is a busy place. You won’t always have the luxury of sitting at a desk and editing your booking schedule. Bookizmo is cross platform accessible which means you can have your booking system open on the Desktop computer in the office and also on mobile tablets at the front desk. All changes are synced instantly ensuring everyone is on the same page.